Non intrusive process control solutions from Switzerland. 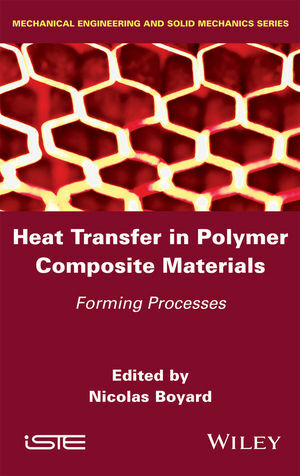 TFX is a co-author of 452-page book 'Heat Transfer in Polymer Composite Materials - Forming Processes". Edited by Nicolas Boyard, CNRS research fellow at Laboratoire de Thermocinétique de Nantes (LTN) in France, you will find all relevant information regarding the influence of heat transfer in composite processing. Table of contents and preface are available here. TFX is proud to share a JEC AWARD with Huntsman Advanced Materials, Compose and IndAC Ag for monitoring the processing of C-RTM carbon-epoxy parts in less than 1 minute with autoclave quality. TFX will be present during the three days of JEC 2016 in partnership with Metravib, booth 5-M83. TFX will be in Paris in partnership with Metravib Stand 7.3 B41. Discover the new METRAVIB DMA+300 and the calorimetric HFC-200 cell designed for multiphysics and kinetics characterisation of reactive composites ! TFX will participate to the 19th International Congress on Composite Materials from July 29th to August 2nd 2013. A poster presenting IN SITU MONITORING OF LIQUID COMPOSITE PROCESSING created in partnership with Université de Technologie de Belfort-Montbéliard (UTBM) and Metravib (Acoem Group) application will be presented. TFX will be present in partnership with Metravib at JEC2013, Booth V93. Discover the new HFC-200 cell designed for multiphysics characterization of reactive composites : introducing thermo-mechanical kinetics ! We will answer with pleasure to all of your questions. TFX will present in partnership with 01dB-Metravib composites curing characterization with the new control unit HFC-200. TFX will present in partnership with 01dB-Metravib in JEC2011, Booth S35, a brand new method to handle the polymerization process of thermoset resins: a simultaneous DMA- Calorimetry Analyzer for liquid to solid characterization. 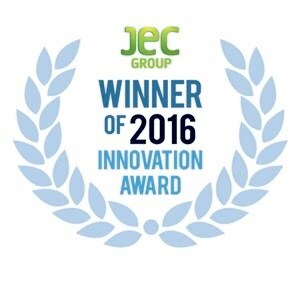 TFX will be present at JEC in Paris from March 29th to March 31th, we will be pleased to answer to your questions. TFX wil actively participate to this symposium organised by the Pôle de Plasturgie de l'Est on February 9th and 10th 2011 in Saint-Avold (France). You can meet us at our booth and attend a joint demonstration with the PPE during the workshops. For more information, click on the poster above. TFX SA will participate to the 10th International Conference on Flow Processes in Composite Materials which will be held from July 11 to 15, 2010, in Ascona, Switzerland.